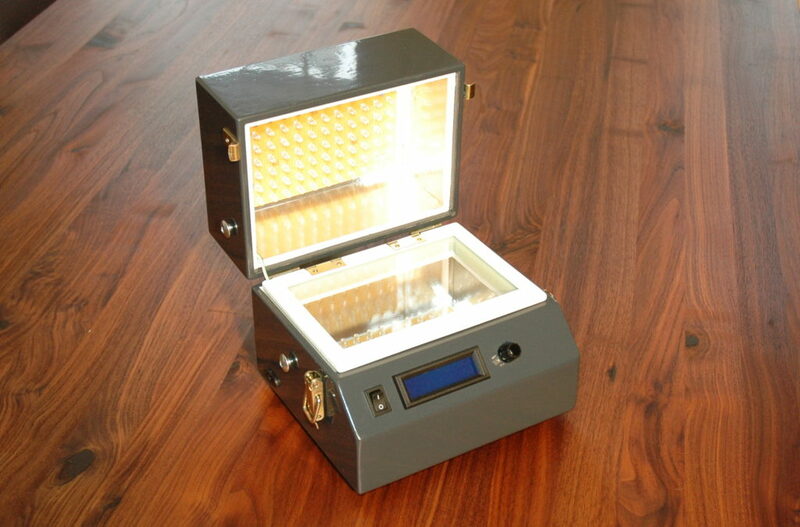 A little bit off topic maybe, but here is a little project I finished recently: a LED based UV exposure box that will come in handy when building prototype PCBs. As far as the box itself is concerned, I followed the original instructable by djhamer quite closely. However, I added a microcontroller based circuit, that can take care of the timing. The board was designed using Autodesk Eagle and the firmware was written in C. In case you are interested in the source files just drop me a line.